A collector’s coin marking the 200th anniversary of the birth of composer Richard Wagner, issued by the Bank of Latvia in June 2013, has been named one of the world’s Best Silver Coins in the global Coin of the Year Awards, often referred to as the coin Oscars. Best Silver is one of a number of categories, and a panel of judges selected ten coins for the group, the Wagner coin among them. Voting will conclude in December, the results published in January 2015. 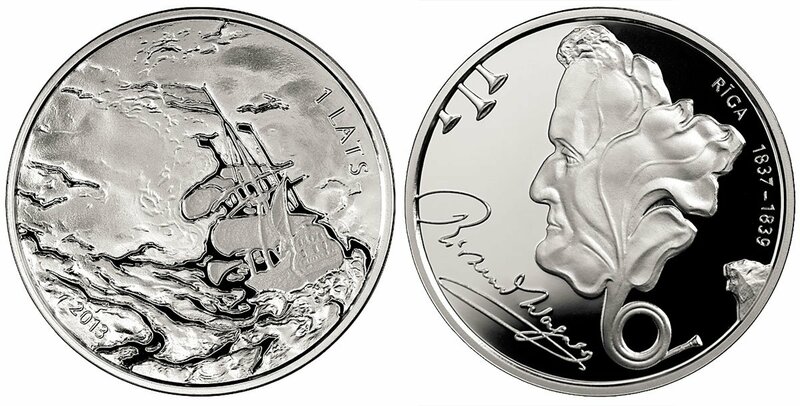 The Wagner coin also commemorates the composer’s active Riga period when he wrote his first important opera, Rienzi. Latvia has won fame in these awards before. In 2010, a gold coin based on an original design from 1922 topped the Best Gold category as well as winning the overall 2010 Coin of the Year Award. Meanwhile, the Bank of Latvia has just issued another commemorative item called Coin of the Seasons, a silver collector’s coin dedicated to Latvian ethnographic and folklore traditions.